A Protestant marriage in Italy is quite easy to plan, since there are only a few restrictions. For a Protestant wedding it is required that one of the spouses has been baptized as a Christian. If the couple desires a legal Protestant wedding with civil validity the Italian law requires certain documents. We normally advise to celebrate a civil wedding a few days before the protestant wedding. The civil wedding can also be celebrated in Italy. Our wedding planners are happy to help you to organize the necessary documents and to arrange everything in advance. For married couples there can be held a ceremony remarking the renewal of wedding vows. This ceremony can be also held for a silver or golden wedding anniversary. For a renewal of wedding vows there are no special requirements necessary. However, it is important to talk before with the Pastor. There are many different ceremonies for a Protestant wedding in Italy. Normally all of them include a welcome, a reading and a Declaration of Consent. Furthermore a Protestant wedding includes the exchange of rings and the vows as well as the Lord’s Prayer and of course the signing of documents in the end. 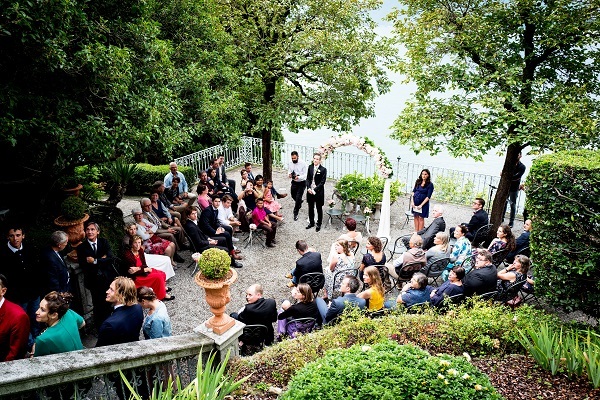 A protestant wedding in Italy with a protestant ceremony leaves much space for own creativity. The guests and the couple are invited to participate actively during the ceremony. The couple can choose scriptural readings or symbolic acts like exchanging a rose. A protestant ceremony in Italy can be held in churches and also in private villas, Italian gardens, castles, palaces or any other location. Just contact our PERFECT WEDDING ITALY team for more information and to plan your protestant wedding in Italy!